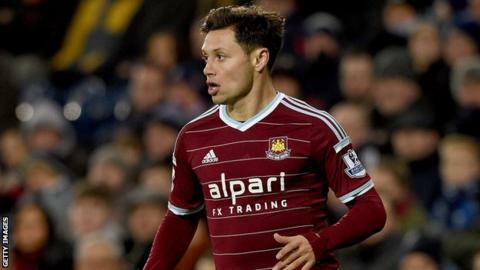 West Ham manager Sam Allardyce expects Mauro Zarate to move to QPR on loan in the January transfer window. Allardyce added that the player was undergoing a medical on Tuesday. The 27-year-old Argentina striker has scored twice in eight appearances for the Hammers since joining from Velez Sarsfield last summer. Zarate was quoted in the national press as saying that Allardyce refused to play him because he was signed by Hammers co-chairman David Sullivan.